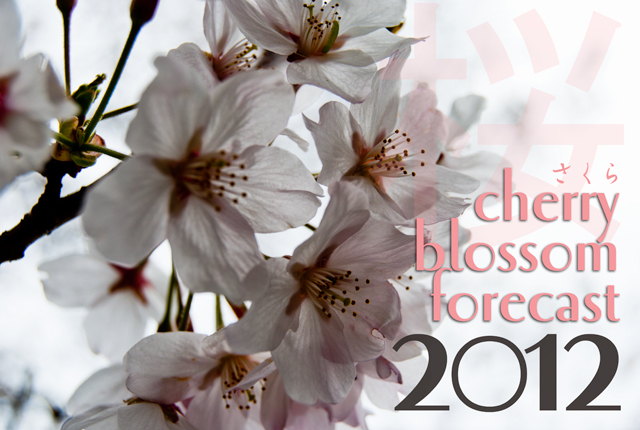 This year's cherry blossom (桜, さくら, sakura) blooming forecast has been released! It seems that the sakura in most parts of Japan won't be showing their petals until a little bit later this year in general (probably not surprising with all this cold weather we've been having on Kyushu, Shikoku and Honshu). 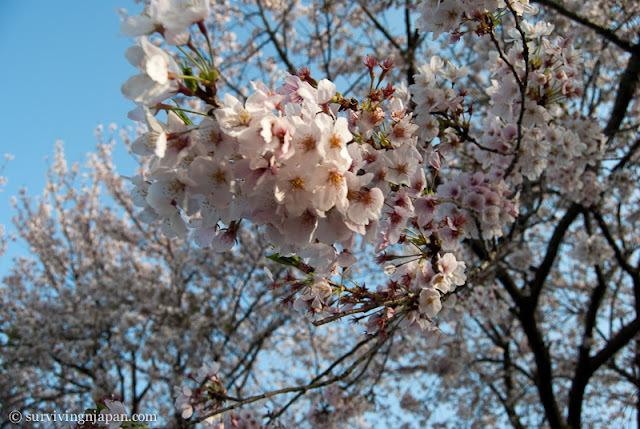 Below is a translation of the 2012 cherry blossom blooming forecast from the Japan Weather Association (translation mine). If you want to see it for yourself in Japanese along with other notes, click the link. *There are more cities in each region listed on the JWA website, so feel free to check it out for other large cities in your area. 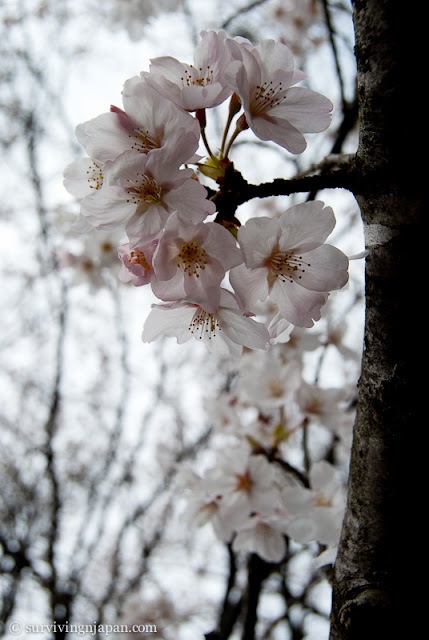 * Note: The forecast and dates can change at any time, and blooming dates may be affected by weather and other factors. Also note that the best time for viewing varies between a few days to a couple weeks from the time they open, and the estimated full bloom has been added below. 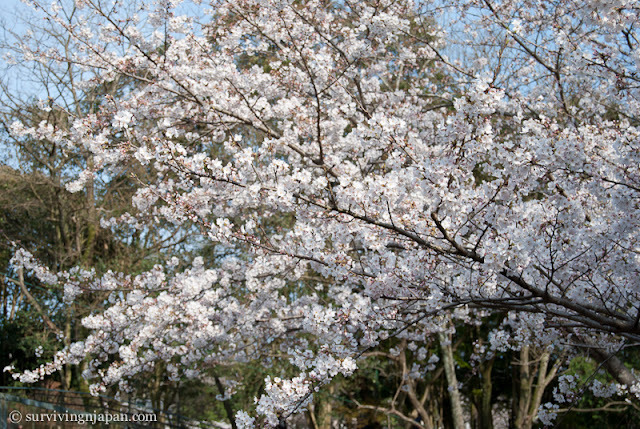 If you'd like to take part in hanami this year (flower viewing), you may want to read how to find a good hanami spot (useful if you're looking for more places aside those listed in English). Parentheses () around the date means the cherry blossoms have bloomed in that area or they have reached full bloom, per the corresponding column.